Have you ever wondered how the bits and pieces of the biblical books and passages fit together as one united voice? 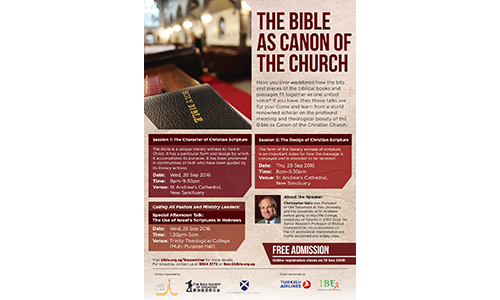 Come and learn from world-renowned scholar Prof Christopher Seitz on the profound meaning and theological beauty of the Bible as Canon of the Christian Church. 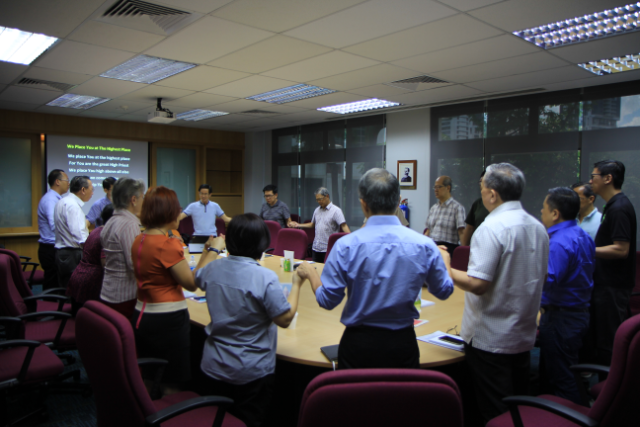 Jointly organised by Trinity Theological College, The Bible Society of Singapore, and St Andrew’s Cathedral. Free admission; register by 19 Sep.